With our immense domain expertise in the concerned field, we are occupied in manufacturing and supplying exceptional assortment of Dampers to our valuable clients. To meet the ever changing demands of the clients, we are engaged in offering a qualitative range of Single Flap Butterfly Dampers that are widely used in various industries. Under the strict guidance of our skilled professionals, our offered dampers are manufactured using the best grade material and progressive technology. 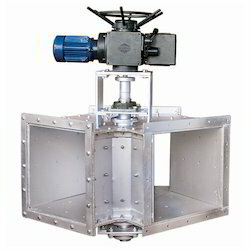 The provided dampers are made available in numerous sizes and dimensions. In order to provide a defect-free range at clients’ end, these dampers are rigorously examined against different measures by our quality auditors. Facilitated by an advanced and well developed manufacturing unit, we have come out with a unique collection of Single Flap Butterfly Dampers. Our provided dampers are widely acknowledged in the market due to their dimensional accuracy and high strength. Furthermore, the offered dampers are used for a wide variety of applications in round ductwork, where low-leakage isolation and flow control. With the support of our talented and diligent professionals, we are engaged in offering Automated Dampers that are used to control the air flow through a duct to be electrically powered. Our offered dampers are precisely manufactured using the quality approved material and advanced technology following the set quality standards. 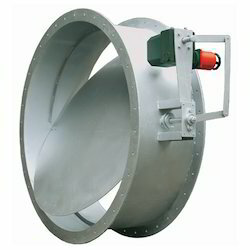 To meet the frequent needs of our clients, we deliver these dampers in bulk quantity within the specified time period. Combining the finest policies with strong business ethics, our firm is actively engaged in offering quality approved Dampers Actuators. Our offered actuators are manufactured using the topmost quality material and advanced technology at our sound production unit. Our team of quality experts checks the quality of these actuators on several parameters to dispatch a defect free delivery. 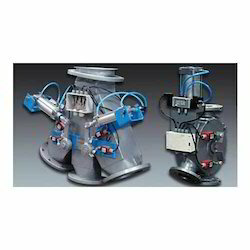 Used to operate dampers or valves in electric modulating circuits, the provided actuators are available in numerous sizes and dimensions to cater the demands of our esteemed clients. Square 90 deg. / 60 deg. / 45 deg. Rectanguler 90 deg. / 60 deg. / 45 deg. 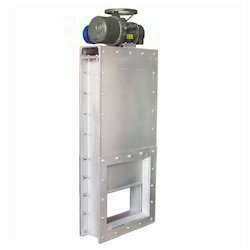 Note: For Air Divertors Two flap with SS316 Leap Seal Desing is also available on request.